IBEW Local 134 and the Electrical Contractors' Association sponsor apprenticeship programs in Cook County, Illinois through the Electrical Joint Apprenticeship and Training Trust (EJATT). 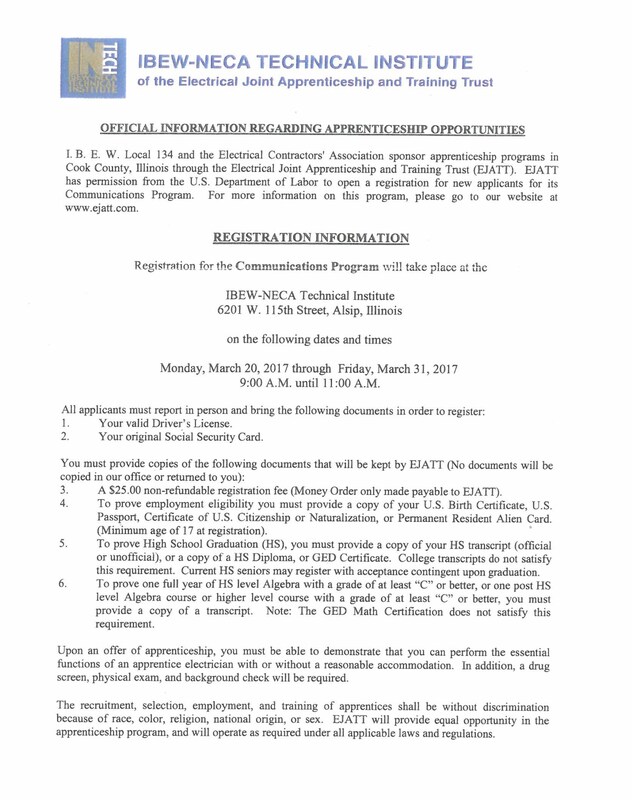 EJATT has permission from the US Department of Labor to open a registration for new applicants for its Communications Program. For more information on this program, please go to our website at www.ejatt.com.